Yesterday, I survived my first shaky landing in 20 years of Korea and 10 years of Incheon International Airport, courtesy typhoon Bolaven. I'll spare you the 1500+ pixes I took, except these 3 sad ones. It's very unfair for such a beautiful country, but I had to make a few points. 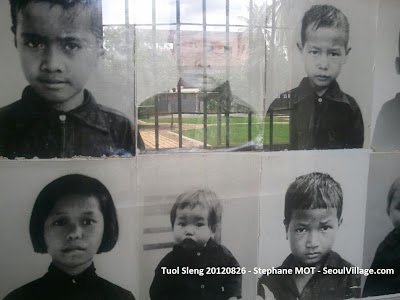 The first picture was taken in Choeung Ek, better known as the "Killing Fields" of Phnom Penh, one of the main sites where the infamous Khmer Rouge regime mass murdered between one and two million innocent citizens. Till the end, this visit of Tuol Sleng exposed the worst of human nature. Of course, I feel deep empathy for innocent victims, and between 40 and 150,000 Japanese civilians died during that battle. But exactly like in the touching "Grave of the fireflies" animation movie, the audience is never told the whole story, the responsibilities of the Imperial regime are never mentioned, it's just a sad story about the absurdity of war and destruction, about remembering only one side of history, about painting Japan as a pure victim of World War II. 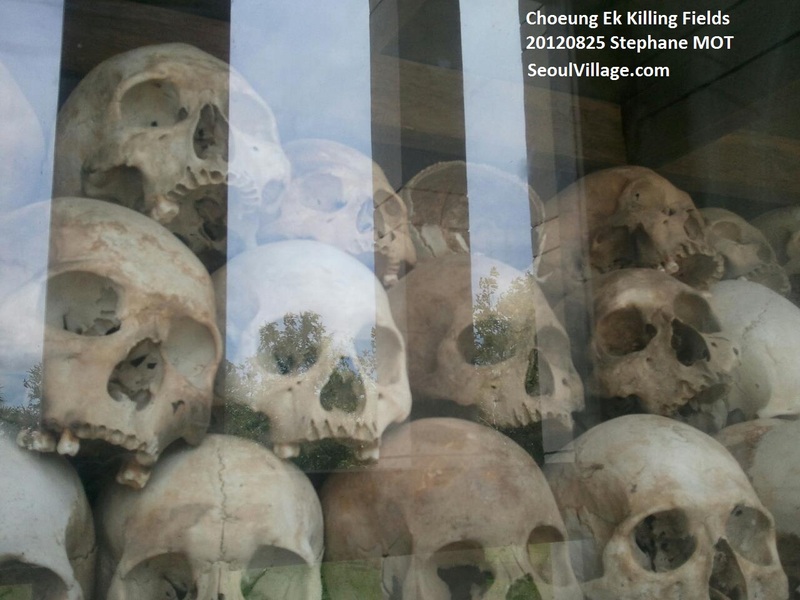 Putting at the same level the Cambodian genocide and this tragedy, which happened during a battle that also saw about 120,000 soldiers die (mostly within Japanese ranks), is as shocking as putting at the same level victims of the Holocaust and the civilian victims of say WWII Berlin. This outrageous propaganda is also an insult to the memory of Okinawa victims, who do owe their fate to the madness of war, but also and firstly to the fascist regime that led their country to war crimes and crimes against humanity across the region. The Japanese who initiated and financed this tasteless 'Peace Project' are deliberately fueling the "selective memory" imposture that obliterates the inconvenient truths of this great nation's history. It took almost 30 years for Cambodians to start prosecuting their war criminals, but over 65 years after WWII, Japan is still eluding its most essential duties as a democracy. Worse: as late as in 1978, when up to 300 innocents were butchered every day in Choeung Ek, Japan decided to enshrine 14 more of its own war criminals in Yasukuni. Still today, ministers keep honoring these war criminals in public. As if maintaining the Japanese people in ignorance regarding the darkest sides of the Empire wasn't enough, impostors are now purchasing ad space abroad in the name of a caricature of peace that negates history and its lessons. They are shamelessly piggybacking on the Pol Pot franchise, using foreign war criminals to cover up their own war criminals. Again, I love Japan, but these impostors have to be exposed, and this great country cannot keep eluding its past if it wants to have a sound future. The same can be said about most countries, including mine*, and of course Korea, a country where a former dictator walks free (Chun Doo-hwan), and another is adulated**, a country where the government decided to stop its truth and reconciliation process because it was seeking too much truth and too much reconciliation. Actually, while reading the "Peace Museum" propaganda in S-21, I was reminded of my visit to another jail where history was not told very fairly: in Seodaemun Prison, you learn a lot about the atrocities committed under the Japanese occupation, but nothing about who was jailed there for which reason in the decades that followed. History is like a parking lot: crimes are more likely to rehappen wherever you forget to put light, and even more likely where you decide to do so. "Expose the imposters: hate mongers who feed upon each other, pseudo-nationalists who actually undermine their own nations, people who demand justice abroad but deny it at home. How can Japanese extremists at the same time suggest the ICJ for Dokdo and elude justice for comfort women? How can Chinese extremists at the same time claim islands and distort the whole region’s history and geography? How can Korean extremists demand justice from Japan and deny justice to their own people by terminating the Truth and Reconciliation Commission and revising dictatorship eras?" * among other French 'niceties' in Cambodia: the country used to be a French protectorate until 1953 (except between 1941 and 1945, when it was occupied by... Japan! 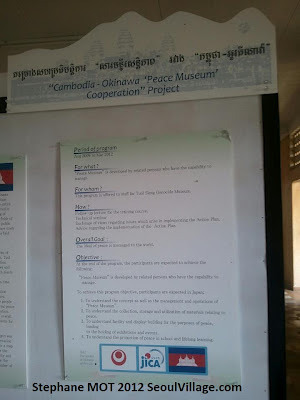 ), and Pol Pot received his ideological training in Paris. ** Park Chung-hee's regime has been repainted pink ever since his daughter entered the presidential race as "the best possible choice".